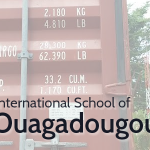 The International School of Ouagadougou in Burkina Faso received their 2015-2016 Bulk Orders container in October 2015. 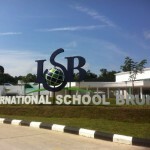 The import route taken to get the goods to the school resulted in the shipment being held in customs and it was an outcome that neither EquipMySchool, nor the school themselves were content with. An agreement was made between the two parties that there would not be a repeat for their 2016 orders. 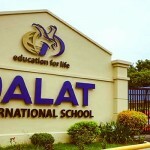 In November 2015, the school advised that the goal was to have received the goods by week commencing August 8th, 2016. All involved acknowledged that it was a high expectation but it was a deadline that EquipMySchool were determined to achieve. The decision was made to adapt the importation route to try and ensure that the delays from the previous year were not suffered again. 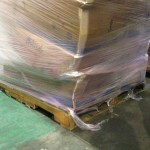 The orders were received by EquipMySchool from the beginning of February; what followed was a combination of tireless administration work with constant communication between the nominated account contact and the ISO staff, an organised and efficient approach to purchasing the goods and an all-hands-on-deck performance from the US warehouse to get the goods packed and dispatched to the school. 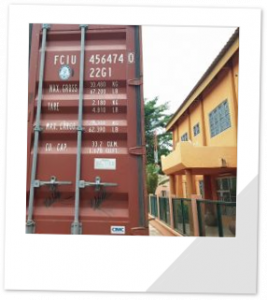 Timely and effective co-operation from the school throughout the process was a big contribution to what is pictured below, which is the container sitting in front of their Administrative building on August 12th 2016! A result that delighted all at EquipMySchool, adding The International School of Ouagadougou to the ever-growing list of clients satisfied with our service.